One of the keys for integrating a successful miles and points strategy into family travel is not putting all of your eggs — er, points — into one basket. It’s totally fine, and probably even advantageous, to have a primary loyalty program or two that gets the bulk of your attention. That said, you want to at least being aware of some additional loyalty programs beyond your numero uno, because eventually, having a diversified line-up of points and loyalty programs in your back pocket will make the difference between being able to book the award you need, and coming up empty-handed. For me, Radisson Rewards is a hotel loyalty program I love to have at the ready when we need it. I’ve been a fan since it was known as Club Carlson. While Radisson Rewards is not my family’s primary loyalty program focus, year after year it gets me out of various points dilemmas that otherwise would have ended in spending cash, too many points or making other plans altogether. To encourage others to become a little more aware of the Radisson Rewards program and how its co-branded credit card can fit into a diversified points strategy, we’ve teamed up with Radisson Rewards to give away three prizes of 100,000 Radisson Rewards points to three of you! We’ll explain how to enter to win in just a minute, but first, let’s look at how you can use 100,000 Radisson Rewards points and when having the Radisson Rewards Visa can make sense. Since we don’t have very many paid stays at Radisson properties, the primary way we rack up our Radisson Rewards points is via my Radisson Rewards Premier Visa Signature Card. This card underwent some major changes earlier this year, and while it still awards 40,000 bonus points at each renewal when you pay the annual fee, it now also rewards those who use the card with up to three e-certificates for Radisson Rewards award nights each year. You earn one e-certificate for every $10,000 charged to the card, up to $30,000 per year. While these certificates can be very useful for domestic travel in places like Chicago and New York, unfortunately they’re not valid for international travel. To give your Radisson Rewards account a healthy jump-start, the welcome bonus on the Radisson Rewards Premier Visa Signature is a total of 85,000 bonus points that are awarded in two tiers. The first 50,000 Radisson Rewards points are awarded with your first purchase on the card, and the next 35,000 bonus points are awarded when you spend $2,500 on the card in the first 90 days. The Radisson Rewards Premier Visa also conveys automatic Radisson Rewards Gold status and allows you to earn 10 points per dollar spent at the Radisson family of hotels (not including prizeotel) and 5 points per dollar spent elsewhere. I’ve been a Radisson Rewards Visa cardholder for years and years, and I hang onto the card, as Gold status has actually been useful for me on some international stays, plus the 40,000 points it provides each year are more than worth the $75 annual fee to my family. TPG’s current point valuations peg Radisson Rewards points as being worth 0.4 cents each, which would mean 40,000 points are worth $160. Families will also appreciate that with the elite status you get just by holding the card, you can share Radisson Rewards points for free with any other Radisson Rewards member. The Radisson Blu Strand Hotel, Stockholm. If you aren’t super familiar with the Radisson Rewards program, it includes over 1,100 hotels around the world under the brands of Radisson, Radisson Blu, Country Inn & Suites, Park Plaza and Park Inn by Radisson, just to name a few. 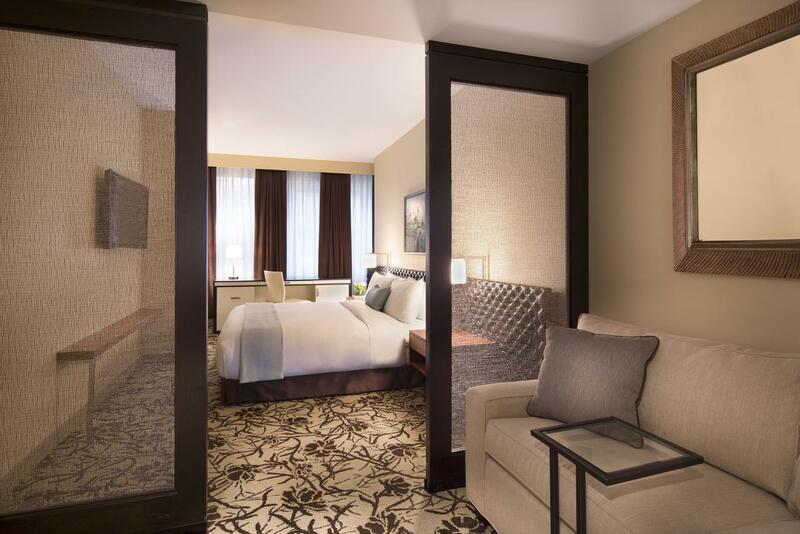 The Radisson Rewards award chart starts at 9,000 points per night for a standard room and goes all the way up to 70,000 points per night for a standard room at the top-tier properties. My family has made use of Radisson Rewards points in places such as London, Scotland, Ireland, Norway, Paris, Spain, Illinois, Minnesota and New York City. While the company is making an active effort to step up its game within the United States, the reality is that its current domestic properties are generally not where the program shines. In my view, the best Radisson Rewards properties right now are the ones in international destinations. Rendering of the Radisson Blu Anaheim, coming in 2020. Not only are the international Radissons themselves often a bit nicer on average, but you can sometimes spend some additional points beyond the standard award rate in order to secure a family room or suite in cities where that’s often tough. For instance, when traveling in Europe, most hotel loyalty programs make it exceedingly difficult to use points for a room that can hold a family of four (or sometimes even three). But many Radisson properties in Europe make it possible to book family rooms for a reasonable award up-charge. To take an example, at the Radisson Blu Edinburgh that we loved — which is located within easy walking distance from the Edinburgh Castle — you can book a standard room for 70,000 points per night. However, a family of four has the option to book a 52-square meter family room for 87,500 points per night. 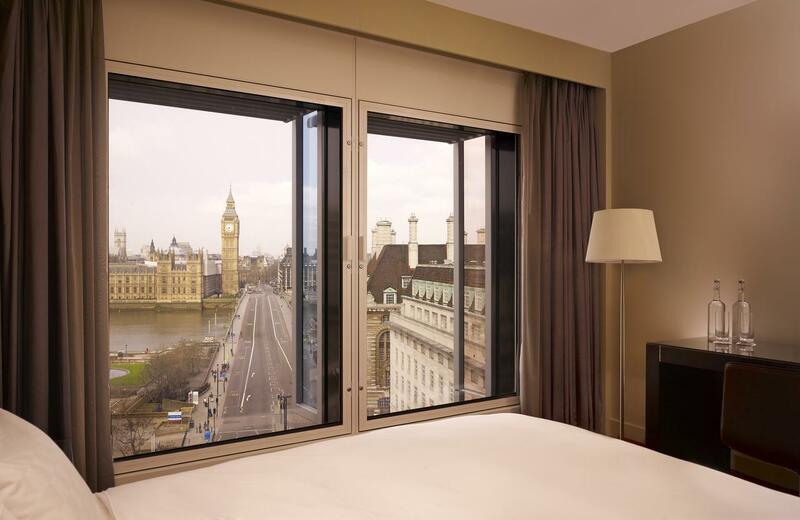 Or at the Park Plaza Westminister Bridge near Big Ben in London, a family of two adults and two children can book a family room for 87,500 points per night. Even within the United States, Radisson Rewards points can provide big returns. My family is planning to visit New York City around the winter holidays, and mid-range hotel rooms are selling for $300-$500 per night for our dates. 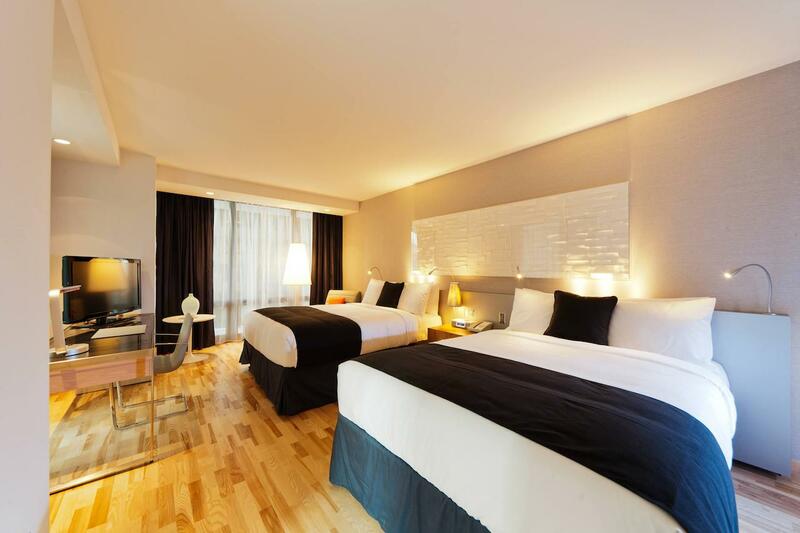 When it comes to Radisson properties in the area, The Cassa Hotel New York 45th Street in Manhattan has rooms available that week starting at $426+ per night. That’s a bit out of my budget for that trip using cash, but instead we can redeem 50,000 Radisson Rewards points per night for a standard room and keep our cash safely tucked away. Grandma Points is coming with our family of four for that holiday visit to NYC so we need two rooms, but if we wanted one larger room for our family of four, we could have booked it for 75,000 points per night. And while it’s still a few years away from completion, we also have our eyes on the Radisson Blu Anaheim that’s scheduled to open in 2020, located very close to Disneyland. With Star Wars Land opening at Disneyland in 2019, my gut tells me that lots of families will be looking for ways to use their hotel points to be close to all things Luke, Leia, Rey and BB-8. To encourage you to explore a program like Radisson Rewards that doesn’t necessarily get all the headlines but is still worth a look, we’ve teamed up with Radisson to give away 100,000 Radisson Rewards points to three of you this week! You can enter to win no later than 11:59pm ET on Sunday, August 5, 2018. To enter this giveaway, tag a travel buddy on our Facebook post and mention your family’s ideal Radisson Rewards vacation destination. You can enter up to twice by posting once on The Points Guy‘s Facebook post and again on the Mommy Points Facebook post, though each person can only win a maximum of one 100,000-point prize. View the official TPG sweepstakes rules here. The three winners will be selected at random and announced on Monday, August 6, 2018. Winners will need to sign up to be Radisson Rewards members to receive the prize. If you’re interested in learning more about the Radisson Rewards Premier Visa card, you can head here for all the details. Please see below for the full terms and conditions of the giveaway. A random drawing will be conducted on or about Monday, August 6, 2018 from all eligible entries received during the giveaway period. The Sweepstakes is conducted under the supervision of the administrator. Facebook comments posted between now and 11:59 pm ET on Sunday, August 5, 2018 within the giveaway period will be entered in to the giveaway. You are limited to one entry per platform; leaving multiple comments on the same Facebook post will not lead to additional entries. Individuals may win a maximum of one (1) prize. To enter the Radisson Rewards Visa Giveaway, you must be a legal U.S. resident, 18 years of age or older at the time of entry, and legal age to enter giveaways as required by each state. The Sweepstakes is void in Puerto Rico and where prohibited by law. Employees, directors and officers of Mommy Points, The Points Guy, Radisson Hospitality Inc, of any promotion supporter designated by sponsor as ineligible, or of any of their respective affiliates, parent company, subsidiaries or divisions are not eligible to enter. Immediate family members (spouse, parents, children, siblings, and their respective spouses) of any such employees, directors and officers are also ineligible. Sweepstakes entrants accept and agree to be bound by these Official Rules and the decisions of sponsor, which shall be final on all matters. Featured photo of the Radisson Blu Resort Fiji courtesy of the hotel.